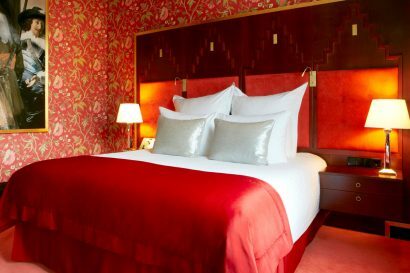 Admire true replicas from the Dutch Masters like Frans Hals and Rembrandt van Rijn in the Promenade whereas replicas of Dutch Masters like Jan Steen, Johannes Vermeer and Floris van Dijck decorate the walls of the rooms and suites in the historical Rondeel building. 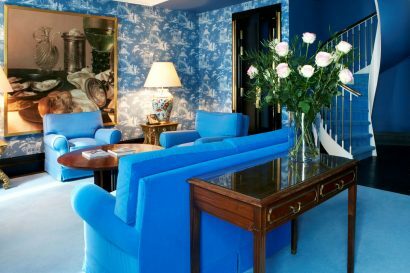 Adjacent to the hotel, the suites at the contemporary Dutch Masters Wing offer a selection of modern colors that form the basis for replicas of Dutch Masters like Pieter Codde and Pieter Saenredam. Guests may enjoy culinary highlights at the Michelin-star rated Bord’Eau Restaurant Gastronomique, the casual chic Hoofdstad Brasserie with an international twist and Hèt Terras, the city’s most popular Summer hotspot overlooking the buzzling city center of Amsterdam, complemented by exclusive wines from the private wine cellar ‘Les Caves De L’Europe’. 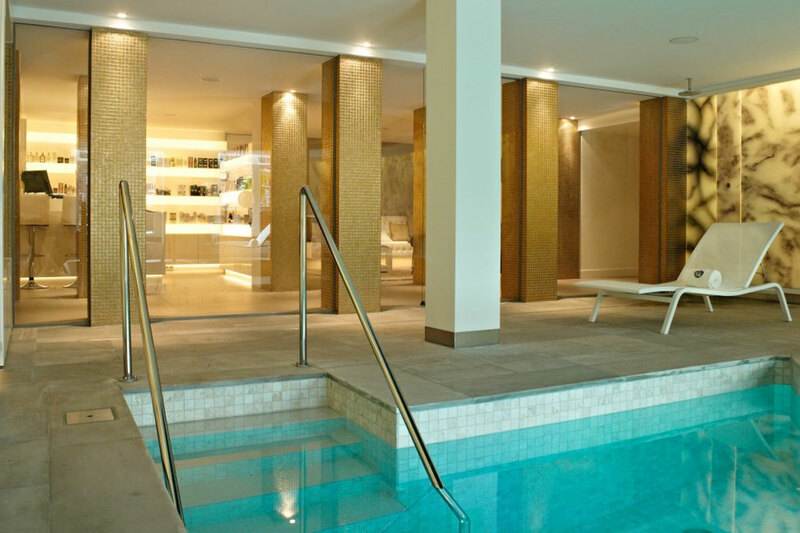 2014 : A brand new Spa & Wellness by Skins Institute. 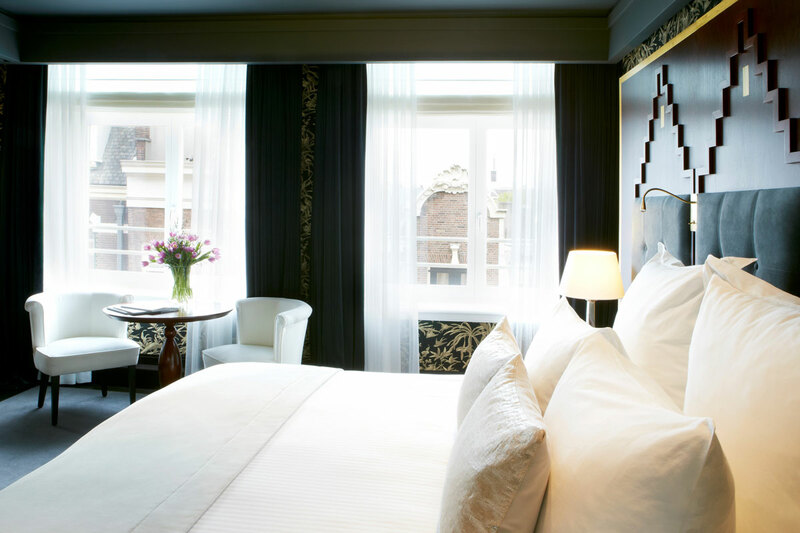 • The location : the hotel is situated right in the historic city centre of Amsterdam along the beautifully appointed Amstel River and close to city’s key points of interest as Flower Market and Dam Square. 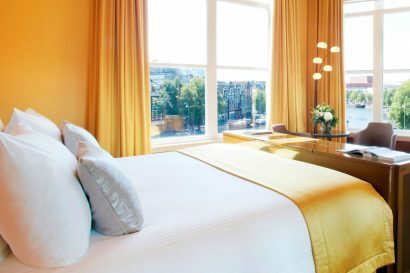 • The partnership : In close collaboration with the renowned Rijksmuseum, De L’Europe is showcasing 111 guestrooms and suites with a true replica of a Dutch Masters. 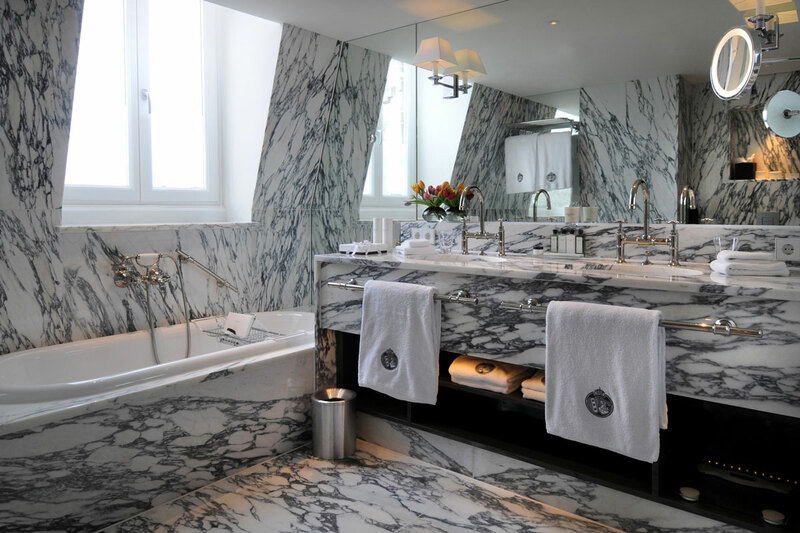 In this way, every room has it’s own dedicated piece of art. • The terrace : A warm-weather terrace where trendy riverside dining pairs with eclectic café favourites and seasonal local specialties. Enjoying a spectacular alfresco setting atop a charming open-air patio. The terrace offers fabulous views fo Amsterdam’s legendary canals. • Award-winning restaurant : De L’Europe is a hub of haute cuisine, boasting a selection of the city’s finest restaurants overseen by Executive Chef Bas van Kranen. Michelin-starred Bord’Eau Restaurant Gastronomique has redefined Amsterdam’s fine dining scene. Exceptional ingredients are blended to create symphonies of flavour, all complemented by the finest wines from around the globe. • A Leading Spa of the World : Skins Institute – De L’Europe invites you to experience a tranquil haven designed to lavishly pamper, indulge and nourish your mind, body and spirit. De L’Europe Amsterdam, also referred to as The Grand Dame amongst Amsterdam’s legendary 5 star luxury hotels and member of The Leading Hotels of the Worlds, is overlooking the beautiful Amstel River in the heart of Amsterdam and offers convenient access to several of the world’s heralded museums and Amsterdam’s key points of interest. A quick 25 minute drive from Schiphol International Airport or just a 15 minute walk from Central Station, the hotel’s refined atmosphere and gracious service define the quintessential Amsterdam experience. The city’s rich culture and history, combined with the vibrancy of its citizens and world-class attractions, offer something unique to every visitor. • Rijksmusem : The Rijksmuseum is the largest museum in The Netherlands, with more than a million visitors each year. The Rijksmuseum is a familiar Amsterdam landmark and possesses an unrivalled collection of Dutch art, from masters of the Golden Age. • Van Gogh Museum : The museum houses the worlds largest collection of works by Vincent Van Gogh, with some 200 paintings and 550 sketches showing Van Gogh in al his moods. • Stedelijk Museum : Built in 1985 to a neo-Renaissance design by AM Weissman, the Stedelijk Museum is the permanent home of the National Museum of Modern Art. • Anne Frank House : Anne Frank is one of Amsterdam’s most well known former residents. • Dam Square : As the site of the Royal Palace, Dam square often is the focus of events of national importance. At the very centre and heart of Amsterdam and close to De L’Europe it has seen many historical dramas unfold over the years. 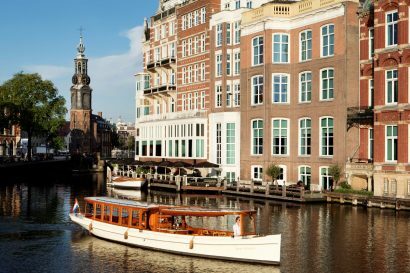 • Amsterdam Canals : The number of canals has lead to Amsterdam being referred to as `The Venice of the North´. Therefore, a trip to Amsterdam is not complete without a canal cruise. • The Nine Streets : Located in the heart of the city’s historic canal district, this area of nine narrow streets called the Negen Straatje was constructed during the 17th century. The Nine Streets intersect the main canals between the Leidstestraat and the Jordaan district, and are dotted with great restaurants, cafés, art galleries, jewelers, boutiques and vintage stores. • The Kalverstraat and Leidsestraat: The two main shopping streets in Amsterdam’s city centre are the Kalverstraat and the Leidsestraat. De L’Europe Amsterdam is privately owned by Heineken Holding International. De L’Europe Amsterdam offers tailor-made programmes for children upon request. • 6 bedroom Penthouse with Amstel river view. 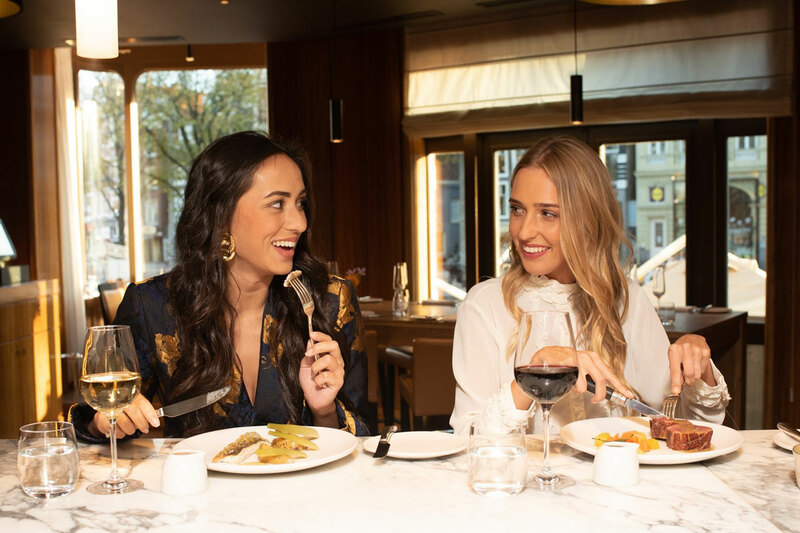 The bright, cosmopolitan and casual elegant Hoofdstad Brasserie is open all day, every day, serving sumptuous breakfast and for lunch and dinner light. Inspired by an international cuisine and modern interpretations served. Our Executive Chef Richard van Oostenbrugge prepares a menu that always reflects the seasonal specialties. Named in honour of its most famous patron, Freddy’s Bar is a landmark Amsterdam Dutch brown bar frequented by Amsterdam’s glitterati. 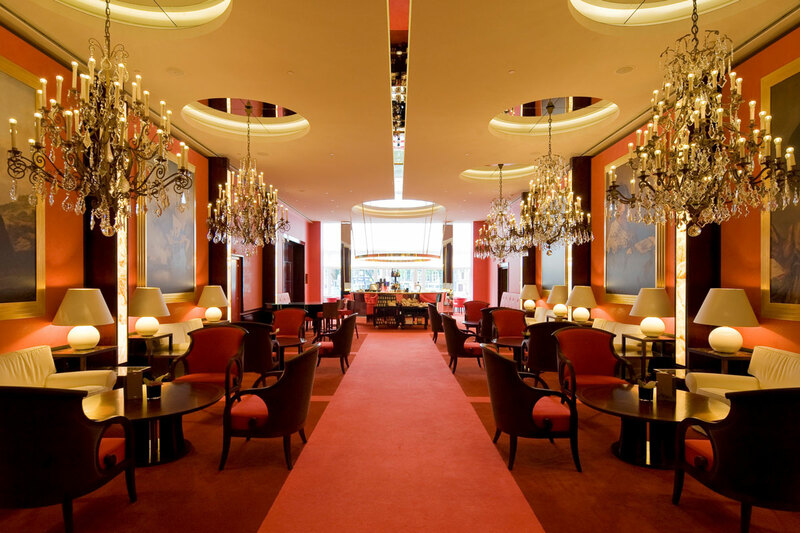 Kick back and relax to the smooth sound of a live pianist while nibbling on gourmet snacks. Freddy’s is renowned for the city’s best Bloody Mary, and is frequently nominated by reviewers as Amsterdam’s finest hotel bar. Traditional old-world charm co-exists with classic design in this peaceful grand passageway at De L’Europe’s heart. Promenade recreates the sense of a private art gallery, serving the city’s most comprehensive list of old and new-world wines by the glass, exquisite cocktails, authentic London High Tea, and a light menu of gourmet snacks from its avant garde cocktail bar. A warm-weather terrace where trendy riverside dining pairs with eclectic café favourites and seasonal local specialties. Enjoying a spectacular alfresco setting atop a charming open-air patio. 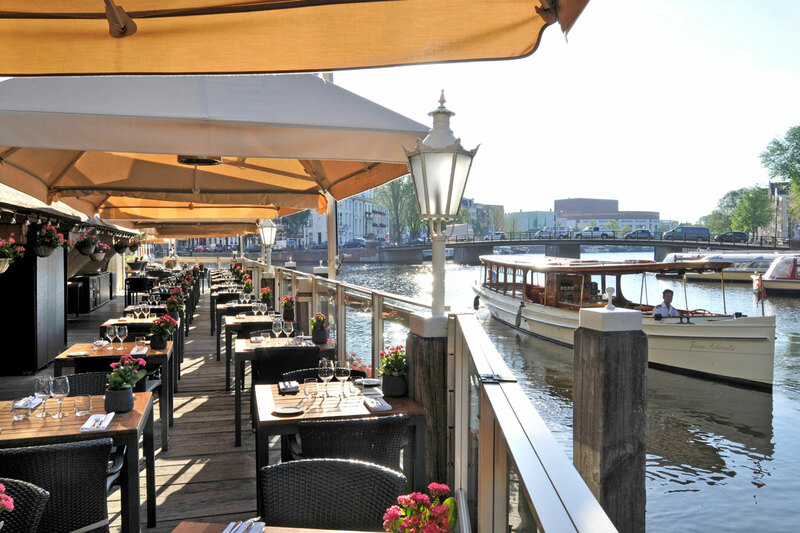 Hèt Terras offers fabulous views of Amsterdam’s legendary canals. De L’Europe invites you to experience a tranquil haven designed to lavishly pamper, indulge and nourish your mind, body and spirit. This sanctuary of seclusion offers luxurious body treatment and sublime skincare, combining organic ingredients with the nurturing care of our expert therapists. 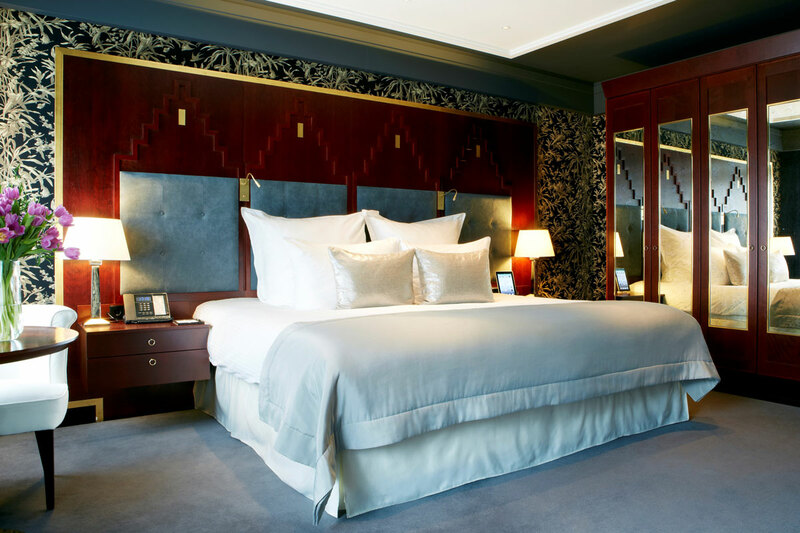 Rest and serenity of the mind and body in an atmoshpere of luxury and comfort. With a variety of treatment rooms, saunas, a swimming pool and fitness studio, Skins Institute – De L’Europe has been tailored-made to allow guests to travel straight to the heart of it’s multi-sensorial experience. The spa treatments have been especially created to meet the needs and desires of each individual guest. A distinctive landmark for more than a century, De L’Europe is an ideal location for board meetings, conferences, weddings, parties, social and corporate events. From luxurious events to casual gatherings on the terrace, each of the seven private event room is exquisitely appointed. Many of the rooms are connected, all harmoniously designed so guests can move seamlessly from reception or a meeting to a lunch or dinner. More than 600 square meters of event space featuring state-of-the-art technology and chic surroundings provoke the mind and spirit. 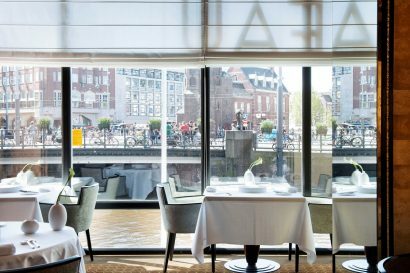 The private event rooms within the elegant new Dutch Masters Wing offer natural daylight, a separate entrance for privacy, and stunning city or Amstel river views. Options are endless in a boutique environment and personalized service. Customized menus and a world-class wine list make this legendary hotel the perfect setting for any event. Guest Services: Pre-arranged attraction tickets, Butler service for packing and unpacking, Clefs D’Or Concierge, Business Centre with secretarial assistance, Valet Parking service, 24 hour in-room dining, Limousine service, Private jetty, Personal shopping, Amenities for children, Babysitting service.